I read Edward Aloryito’s quite interesting “analysis” of the profiles of Ghana’s two major political parties with wistful amusement. With wistful amusement because the critic rather facilely equates the lackluster performance of the Cash-and-Carry-minded National Democratic Congress (NDC) with the unabashedly neoliberal and social interventionist-oriented New Patriotic Party (NPP). Absolutely no keen observer of Ghanaian politics would be tempted to erroneously mistake either major political party for the other. There is absolutely no contest, by which I mean that the key operatives of the Rawlings-founded National Democratic Congress are absolutely no classmates of their far more progressive, democratic and visionary opponents of the New Patriotic Party. There may be liars among the folds of both political parties, that is all too normal or natural, but the NDC is far more thoroughly composed of pathological and congenital liars. You see, contrary to what Mr. Aloryito would have his readers believe, building only 74 school physical plants out of the 200 promised by then-President John Dramani Mahama, in the leadup to the 2012 general election, amounts to the scandalous fulfillment of a diddly 37-percent of his electioneering campaign promise. Now, that is not the same as then-Candidate Addo Dankwa Akufo-Addo’s epic promise of providing fee-free access to all qualified Senior High School-age Ghanaian youths and then responsibly and progressively following up such promise with a practical implementation of the same. Now, we can quibble over why President Akufo-Addo has yet to construct a single school-building facility out of the purportedly promised 350 of such state-of-the-art facilities. The fact of the matter is that Ghana’s former Attorney-General and Justice Minister has literally put his money where his mouth is, by creatively strategizing around the limited availability of physical plant facilities by implementing the double-track SHS system. Universal access to public primary and secondary education is a fundamental human right which this astute and formidable human rights lawyer appreciates in a way that is apt to take former President Mahama at least three lifetimes to fully grasp. 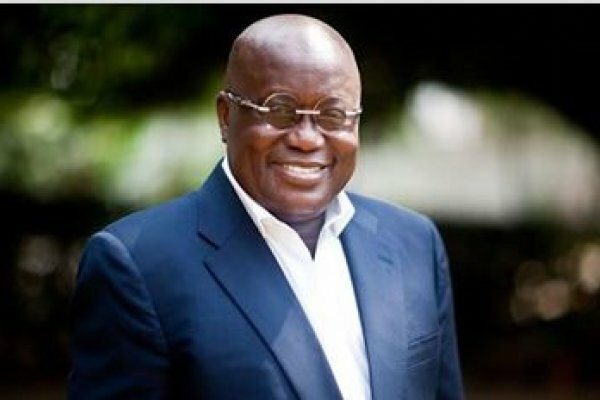 Now, talking of the alternating packaging of lies by key operatives of the country’s two major political parties, author Aloryito indulges in great mischief at the expense of the Akufo-Addo-led government of the New Patriotic Party whose inception met with the effective bankrupting of the Kufuor-implemented National Health Insurance Scheme (NHIS). Did the critic take into necessary account the fact that it was the same fiscal resources that ought to have gone into the construction of the 350 promised physical plant facilities that were invested, quite wisely, in the salutary resuscitation of the NHIS? Would Mr. Aloryito also strongly beg to differ by insisting that the health needs of the Ghanaian people should have been ignored by the Akufo-Addo Administration in favor of the construction of the school-building facilities? In just under 24 months, this present NPP government has achieved far more in terms of improving the quality of life of the average Ghanaian citizen than was achieved during the four-and-half years that the Mahama regime was at the helm of the people’s affairs. Has the critic also so soon forgotten the total destruction of the National Medical Storage Facilities in the waning months of the Mahama-led government of the National Democratic Congress? What was President Akufo-Addo to do? Was he to adamantly and strictly set about the dogged fulfillment of his electioneering campaign promises by pretending that the quality of the country’s healthcare system was in ship-shape, as it were? The fact of the matter is that if Ghanaians want to see tangible socioeconomic and material progress that they feel both in their wallets and the quality of mind and thinking of their children and grandchildren, they have absolutely no alternative, whatsoever, but to ensure that the New Patriotic Party is kept in power for as long as the party’s leadership give them valid reasons to believe that they have their best interests, desires and aspirations at heart.